I’ve been to Los Angeles for about 3 years now. I’m originally from Finland. 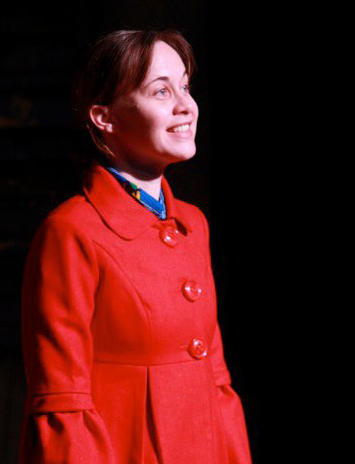 In my early twenties, I worked as a professional actress in a big repertory theater company in Finland. I had the wonderful opportunity to perform many lead classical theater roles, and also have fun with completely different, more modern characters, such as Peppi Longstocking. Even though it was a very wonderful experience to work on a repertory company, doing 3 shows simultaneously and having a monthly paycheck from the theater, I felt that I needed to learn more and grow as an actor. Working can at times be very result oriented and there is not always much room for exploration or “taking risks” which is a necessity for any artist in order to grow. With only a little amount of actor training at that point, I was simply doing it all by instinct (and probably pure good luck!) so after working non-stop for a couple of years, I got worried that I would start repeating myself or developing mannerisms and therefore was hungry for learning new ways and gaining deeper understanding of the actors process and character transformation. I decided to expand my artist journey to study acting and directing in Denmark, Russia and U.S.A. 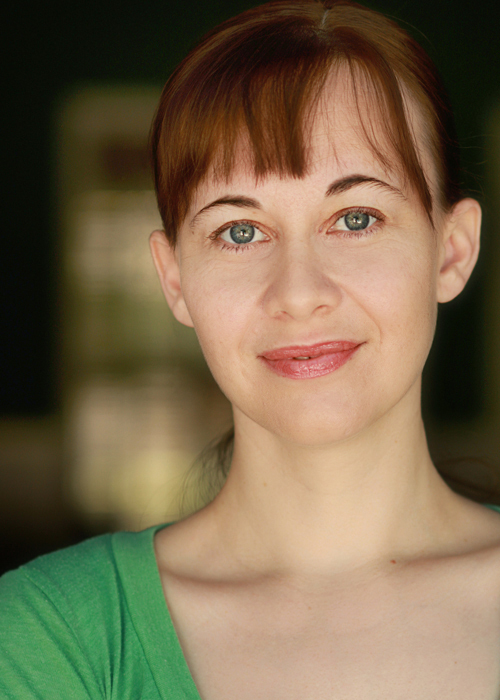 I trained at the Russian Academy of Dramatic Arts (GITIS) and also have an MFA in Acting from CSULB. Here in USA some of my favorite roles include Medea in direction of David Bridel, Yelena in Uncle Vanya at the Classic Stage Company’s summer series in NYC, and my work with Sarah Kane and Andrei Malaev-Babel at the Stanislavsky Theatre Studio in Washington DC. My directing credits include Shakespeare, Chekhov, Schiller, and devised work.Tell us why you love acting or what made you choose it as your profession, etc. I feel that acting chose me. First it was a hobby for me, as I already had two other professions (I had prior degrees both as an equestrian trainer and gymnastic on horse, and as a psychiatric nurse) but very quickly theater took over all my time completely and there was no point of returning or doubting since then. I knew I had a whole new life in front of me right at my very first theater rehearsal, and at the opening night of my very first play, I knew I had arrived home. I believe that acting is a profession of calling. I wish to be serving something greater than myself, working together with the ensemble to tell a story of another human soul, and this way striving to expand empathy in the world. As one of my student’s so well put it: “Actors are professional human beings!” I feel so very blessed to be able to practice this art form and to PLAY all day long! What keeps us young is inspiration, and I am allowed to bath in it daily! Antaeus is a wonderful place for any artist to grow and share this love for theater! What brought you to Antaeus?I was so very blessed to meet Liz Swain via our mutual Michael Chekhov acting technique teacher friend. We spoke about the art of acting and of course Shakespeare all night, and I immediately knew that I wanted to deepen my understanding of Shakespeare with her! She is truly a world class teacher! I have been very impressed by Antaeus as a company. The high level of training and talent at Antaeus is undeniable!What do you want to gain from the class? Do you have a specific “problem” on which you want to focus? I really wanted to embrace the whole experience with “new-born eyes (and ears!). Even though I have a lot of experience (and technique) as an actor, I’m a complete beginner in my Shakespeare in English. The images are so much more vivid and beautiful and the text works me in a completely different way than it did in any foreign translations I worked earlier in my career. Liz has opened up a whole new universe to me! What do you think of the class so far? Absolutely in love with Liz and the class! What is your experience with classical theater? Has class reinforced/changed what you previously thought, or have you learned new things, etc? Yes reinforced many things and opened new doors to language! Anything new and exciting going on in your life? (doesn’t have to be acting related, can be an engagement, upcoming trip, new dog, etc.) My acting studio has a little scene study showcase coming up. We call the evening: Tennessee Williams-Cafe, and I’m very excited for the wonderful actors in it! Also, I just got invited to direct a production in Brazil and I’m exited for the trip! Karianne Flaathen is a member of the A2 Ensemble, and the project initiator of the upcoming Last Call for Theater production of The Typists by Murray Schisgal. We’ve asked Karianne a series of questions about her project to allow our friends to get familiar with this upcoming show. We are certainly excited about it! 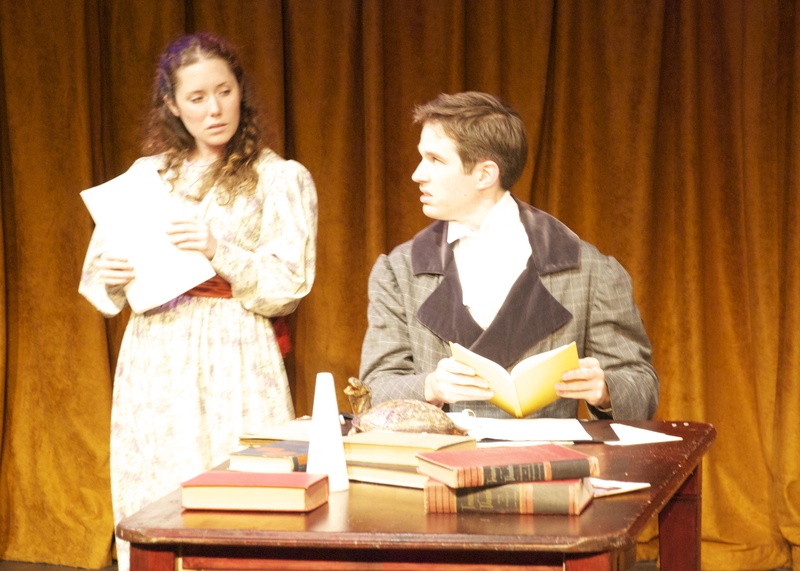 The Typists is not a widely known play. What attracted you to it? I was first introduced to The Typists through its companion piece The Tiger a few years ago. The Tiger is just so raw and compelling, with great humor as well as an underlying danger throughout. It’s a great piece, which deals with the everyman, his sense of failure (both within himself and from society as a whole), as well as the class difference between him and the female character in it. So after that, I couldn’t put the book down. I was further inspired and moved by The Typists, because it’s really a play that I think everyone, no matter where they’re from or what their social background is, can relate to on some level. I think that’s what attracts me to it, besides being brilliantly written! It deals with universal human issues – and what is really interesting too, is that Schisgal’s work (including these two pieces) was first produced in London in 1960. It then continued to be produced all over Europe, as well as Israel, before it finally made it to New York in 1963. As a newcomer at the time, he found it pretty much impossible to get in the door here at home, so on his way through London one summer, without much optimism, he handed in a couple of his short plays to a small theatrical group there. He was completely surprised when they contacted him almost at once telling him his pieces would be produced–and then they kept asking for more! What themes in The Typists do you find to be the most compelling? Oh, there are so many… I suppose the tragicomedy aspect of it is one part. The sense of having dreams and aspirations, but not fulfilling them. The sense of love and loss and trying to carve out one’s own identity while society and other family members’ influences loom large. Wanting to hide, wanting to get away, or simply just wanting something ELSE, but not knowing exactly what, or how to find it… Feeling paralyzed within society, just unable to move in any direction. These are issues relatable to most people I think, or certainly to me! What do you most look forward to when working on this play? I think… all of the above! And also the physical aspects of the play, and really using the language. Exploring all the relationships – the one on stage and the many off-stage ones… It’s just a really juicy piece, with lots of layers. It’s a real privilege to work on this kind of material, especially with the caliber of people I get to work with on this particular production – the great team behind the scenes, as well as my co-actor, Drew Doyle, and then being directed by Rob Nagle. It’s just a real privilege all around! What do you think makes this play relevant today? On the dust jacket of the first edition of this play, The Typists is described as: “timeless in its vision of human suffering and aspiration” – I suppose that kind of says it all. It really is timeless, and will always be relevant in the same way Chekhov will always be relevant. It quite simply deals with the human condition of the everyman, with the ups and the downs, the tragedy and the comedy, love, laughter, tears and regrets – it never gets old. Is there anything about this play that poses a particular challenge for you? Besides the whole thing??!! I suppose the aging aspect of it. The play moves through time, so finding the subtle nuances of the changing physicality that comes with that aging. When you’re not yet old, I think it can be easy to fall into a mannered idea of what ‘old’ looks and feels like – so trying to avoid that will be a definite challenge! 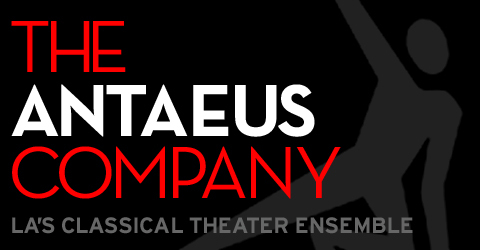 How long have you worked with The Antaeus Company? I was first made aware of Antaeus when I moved to LA in 2006. Daniel Bess, who I went to college with, told me about the company and invited me to attend a ClassicsFest rehearsal he was in – I then attended two of his staged readings, and promptly came back to see more and more! I knew after that summer that this was a place I wanted to be a part of, on whatever level they would let me, so I got on their mailing list and nearly a year later I received an e-mail about forthcoming auditions for Classical Styles. Thankfully they accepted me into the class, and then I was asked to join A2 in 2008! What do you most enjoy about the experience you have had with Antaeus? The sense of community, and having an artistic base. That’s always something that was missing for me before. Acting is an unpredictable life and business at the best of times, so to have some kind of a constant in the midst of it all, and to be around people who know and trust your work, and you theirs, is invaluable! AND being able to work on some of the best plays ever written – whether through fully staged readings, or just sitting in the library among other actors whose work always inspires you – is just always a true gift! Over a tube of Pringles recently, actor-martyr Genisio Santo and director Meiningen Sachs began a dialogue on the state of theatre reviewing in L.A.; and this give-and-take, subsequently pursued over a second tube of Pringles, seemed worthy of a larger forum. MS: I think it’s a shame the way not just the major critics like Nutty McCharles tend to be marginalized, but even the—shall I call them minor?—critics like Maury Lee Stevens. GS: For the record, we don’t tend to think of the latter as “minor”—we prefer “waiver journalists.” But be that as it may, how do you mean “marginalized,” Meiny? MS: Well, literally. I mean, they have to write in columns, they have to stay inside the margins. It’s sad, really; they’re treated like three-year-olds forced to stay inside the lines in coloring books. I’d love to see their stuff spilling all over the page. Wacky fonts! Occasional gibberish! I mean, what about their creativity? GS: I hadn’t looked at it that way. GS: Well, I’m not sure that’s true. . . .
MS: And to pander to that 99.5% of their readers who actually read, by having to conform to the stifling, old, traditional spelling and punctuation rules. GS: Yes, what about that other half a percent who can’t read? They’re the real cutting edge. They’re the future. MS: Yes, print reviewers these days can’t really write what they want; they’re so font- and format-whipped by their editors. I look forward to the day when they can really cut loose, you know, dump those style sheets in the wastebaskets and write something I could honestly call a McCharles review or a Stephens review instead of that conformist boilerplate stuff that passes for reviews these days. GS: I agree. I mean, come on, who needs paragraphs? What’s in a paragraph? A screed by any other name, , , , But now, Meiny, let’s think even further outside the box. I’m thinking interdisciplinary reviewing. MS: Hmmm. How would that work, Genisio old chap? GS: Well, all the big papers have websites—why shouldn’t Nutty or Maury sing their reviews in streaming video? Or better yet, write them and then have somebody else deconstruct them, you know, pick out a line here, a line there, reassemble them into a collage, and then stage them as puppet shows? MS: Yes, Travesty Presson might be just the person to do that! GS: Whoa, wait—here, let me open that second tube of Pringles, Meiny old boy, I’m a trained actor. What if we throw away the box entirely, and let the reviewer go to one play and review another one entirely? MS: But don’t they do that already? I mean, I often get the impression that they tend to review the play they wanted to see or thought they should have seen—or the one they would have produced (if they actually were in the producing business)–instead of the one they actually saw. GS: Okay, then how about this—they don’t even see plays. They just write reviews. MS: Now you’re talking. I’ve always thought the ideal situation would be for a reviewer to call me when a production was announced and I could explain to him my concept and what I wanted to do, and he could just review that, without have to deal with all those pesky playwrights and actors. (Beat.) No offense, Gen.
GS: None taken. I mean, who do we think we are? MS: Or, back to the interdisciplinary idea, how’s this for a picture? All the reviewers in spandex tights with lots of artificial fog, posturing their reviews to pretentious music—Critique de Soleil! GS: Or–wait a minute—how about a mime review–live and in streaming video; and you could print it in the paper as well. MS: Yes, fabulous! And then—no, wait a minute—a mime review in the paper? Then it’d just be a blank column. would be great way to get involved with a theater out here. A: What about Antaeus made you think you would enjoy working with them? A: Do you have a background in theater? If so what type? C: I grew up acting in school shows and majored in theater in college. A: What have you enjoyed doing most since working with Antaeus? being back in and around a theater. A: What is your favorite thing about theater? power to affect and inspire everyone it touches. A: When not volunteering at Antaeus what do you like to do for fun? restaurants, shops, art galleries and events that LA has to offer. Antaeus: How long have you been volunteering at Antaeus? Jenn: Since October ’09. so almost 5 months. A: What made you want to begin volunteering in general and how did you find Antaeus? I wanted to gain work experience in a creative atmosphere, and I found Antaeus in the “jobs” section of Craigslist. It sounded perfect. J: I had a good feeling about Antaeus, and rightfully so. There’s an easy-going but professional atmosphere here that I really like. Everyone is super friendly. Most importantly, the work they do here is amazing and inspiring. J: I acted in high school plays and musicals, and also did a lot of technical theater work. My theater experience pretty much ended upon high school graduation. That’s part of why I joined the Antaeus family: to get involved again. J: Helping behind-the-scenes: painting, decorating the lobby for Potluck Readings, and editing the program. J: I love watching an unraveling story that speaks universal truths—truths that are within us and greater than us. I feel that good theater demands honesty from audience and actor alike. My favorite thing about theater is probably when, watching a skilled, honest actor, I’m inspired to admit, “I know that feeling. I’ve been vulnerable/silly/foolish/sincere/fabulous/utterly human like that.” It’s a confirmation of humanity, a reminder of the beauty of our sameness. J: Creative things! Mostly I like creative writing, songwriting, and singing. In this installation of Cousin Bette: A Closer Look, playwright Jeffrey Hatcher talks about the process of adapting the Balzac novel for the stage.